Address: 2 Kim Tian Rd, 169244, Singapore. 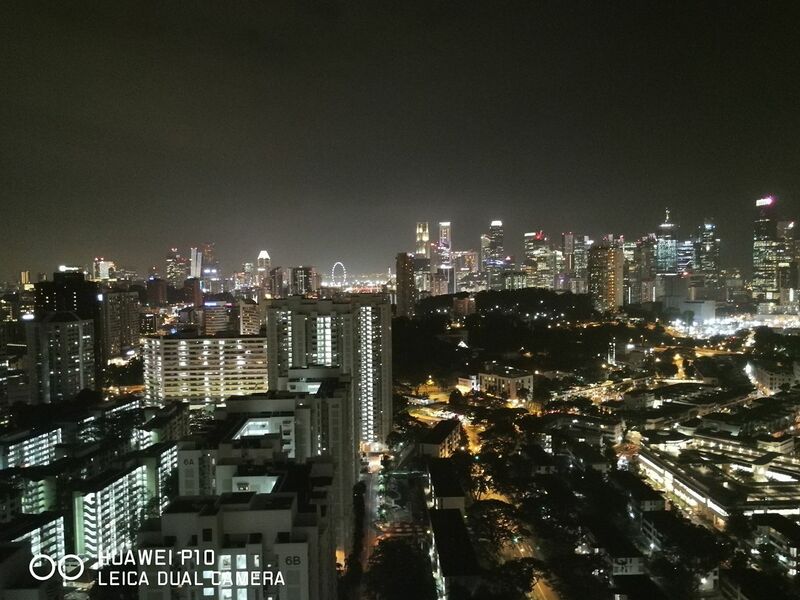 Friday’s night, after working for a day, I asked for a dinner at Tiong Bahru, Singapore. 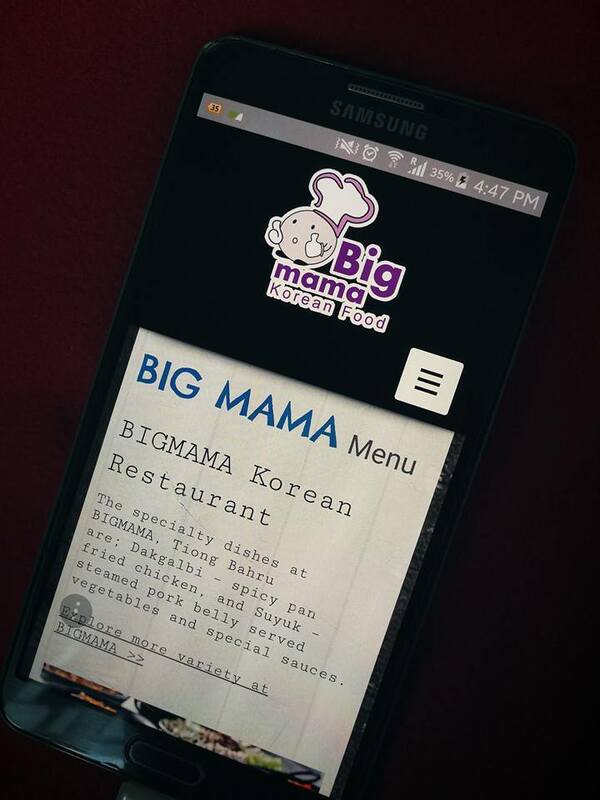 Bigmana Korean Restaurant is one of the recommended restaurants to try in Tiong Bahru based on the online bloggers. Without hesitation, my friend joined in. We walked from the MRT station to the restaurant which took us about 10 minutes walk. There was no queue when we reached the restaurant, however, the main shop was full with people. According to my friend, the restaurant expanded and they are now taking over the next door as well. It is ran by a native Korean, so I believe the quality of food will maintain. For two of us that night, we ordered two dishes to try. Our table was full with food when it was served. 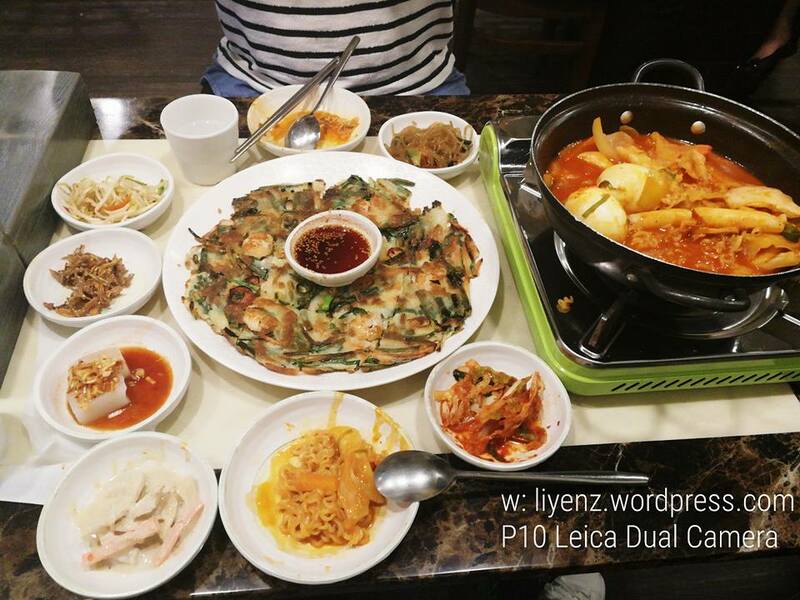 We ordered the seafood pancake and the Teokbokki. 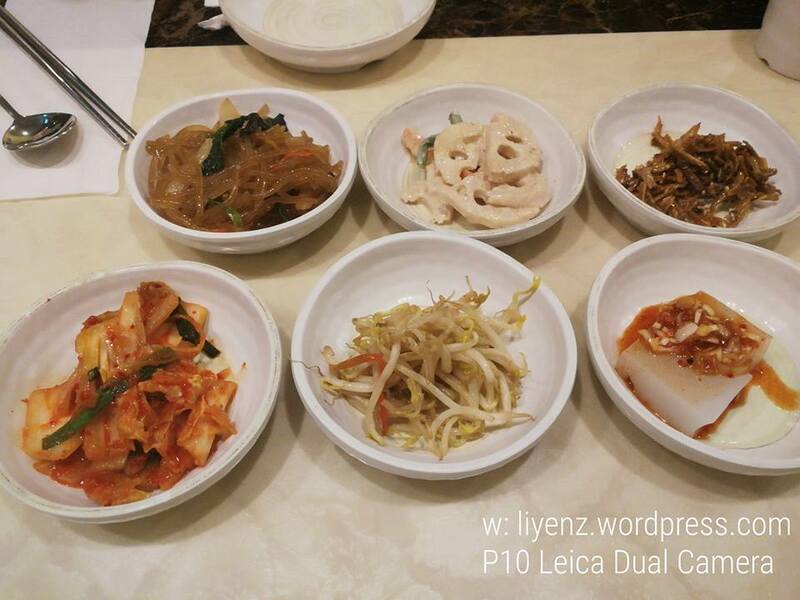 It comes with side dishes as usual for a Korean restaurant. 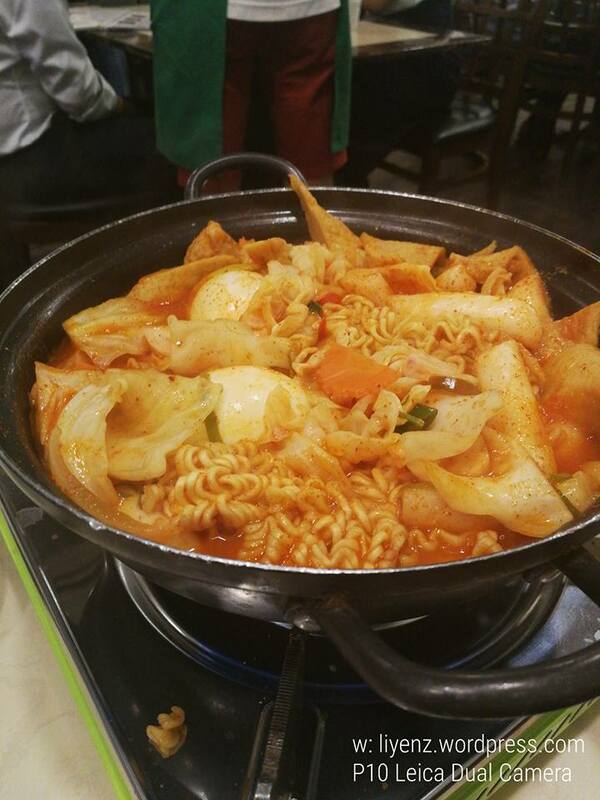 The main dish of the night was our choice, Teokbokki which is one of the popular traditional Korean food which comes with rice cake noodle cooked with fish cakes, eggs, vegetables and instant noodle. The chili broth is not spicy although it looks red. For normal people, it should be just alright. Just remember to turn off the fire after a while so it would not over-cooked. 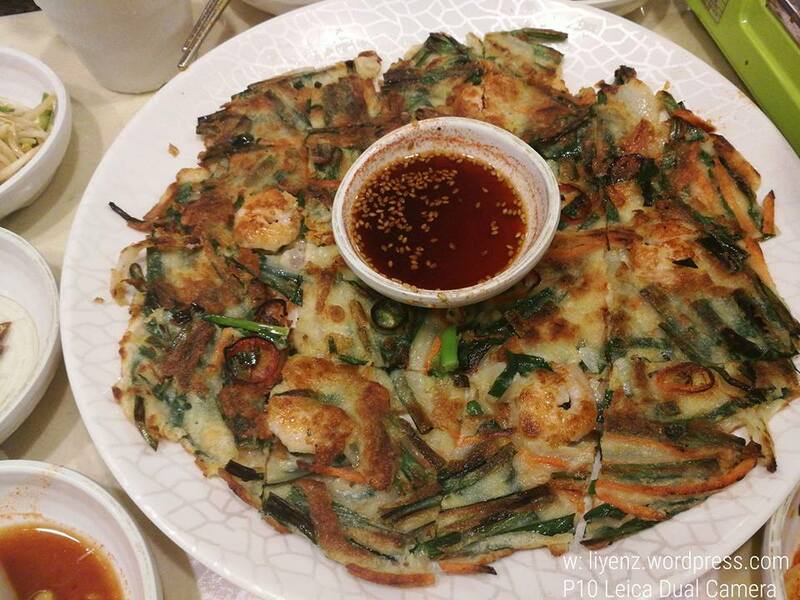 The Buchu Jeon, the Korean pancake made with chives and shrimps. The waiter apologized us because they missed our order and later, realized it and came to inform us they would serve in short while. I did not notice it was missed order, however, the pancake should not take too long to serve. Along with the side dishes, it made my day to the fullness. No doubts, Korean side dishes are always most satisfying me and I liked all of them most of the time when I visited any Korean restaurants.